Feeling adventurous? Gabrielle Fagan reveals three routes for channeling nomadic travel-inspired themes. 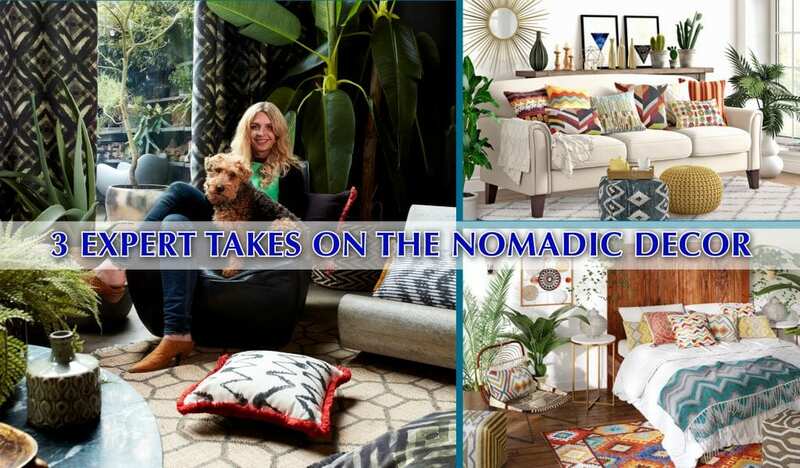 Some trends suit those who like to play it safe, but ‘Nomadic Modern’ certainly isn’t one of them. This is a decor direction for those who want to push the creative boundaries, are open to inspirations from all over the world, and love curating their exotic treasures into schemes which ooze personality. 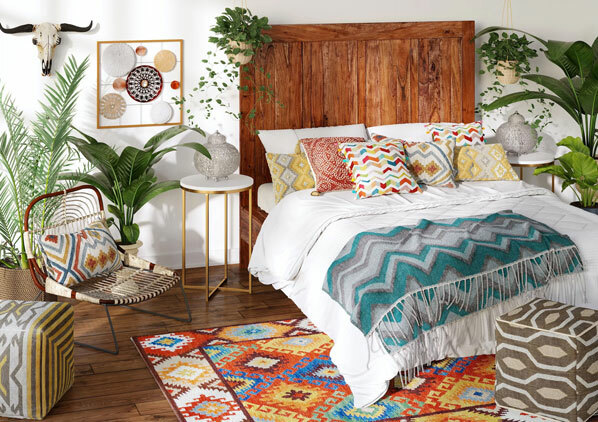 If you’re an intrepid adventurer, show off your souvenirs in a colourful, quirky way with a dash of bohemian, or simply but subtly pick up on tribal patterns and layer them set against an earthy rich colour palette. Alternatively, the stay-at-home but stylish could opt for a sophisticated, uber-contemporary scheme that just hints at global glamour. Be adventurous and take a style journey! “If one word defines this trend, it’s textiles, textiles, textiles! 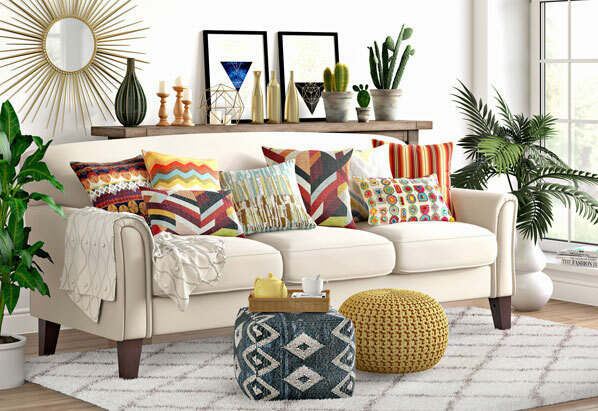 From chunky Moroccan pouffes to scatter cushions in tribal prints, woven accessories are the surest way to bring to life the nomadic look,” enthuses Nadia McCowan Hill, resident style advisor at Wayfair. Abundant greenery is an essential finishing touch, adds McCowan Hill, who suggests lavishing a home with luscious foliage, from elegant palms to trailing hanging plants. TRIBAL TIP: This is a great opportunity to show off your most prized treasures. Dig out trinkets and reminders of long-forgotten trips and display on a striking decorative tray or coffee table. 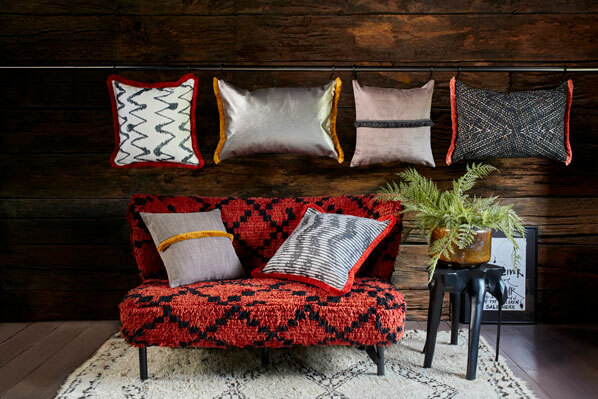 “I’m a big fan of nomadic style because it’s unconventional, artistic and relaxed,” declares designer Abigail Ahern, who has a new collection of curtains and cushions for windows and blinds specialists, Hillarys. If too many cushions cramp your seating or sleeping style, take a tip from Ahern’s home and display them hooked on a metal rail, rather like jewellery for the home. “This look allows people to truly explore, and have the freedom to create their own style,” says Kris Manalo, upholstery buyer at Heal’s. “The nomadic trend fuses influences from every corner of the globe, to capture a wonderful sense of warmth, comfort and style. Capture elements of it by layering earthy, terracotta tones against refined neutrals,” she suggests. 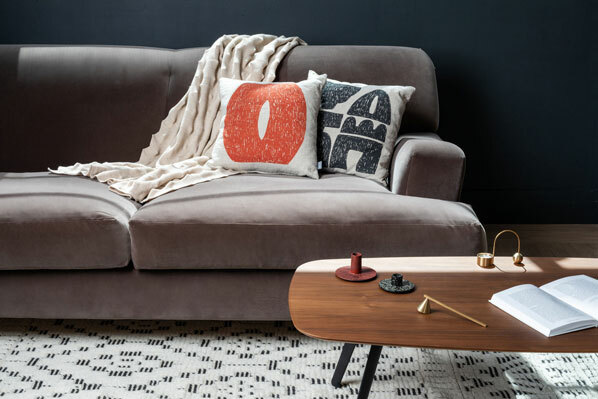 TRIBAL TIP: Style with luxury materials – buttery leathers, knubbly knitted throws and cashmere cushions are ideal – to create a cosy, intimate and sophisticated sanctuary.